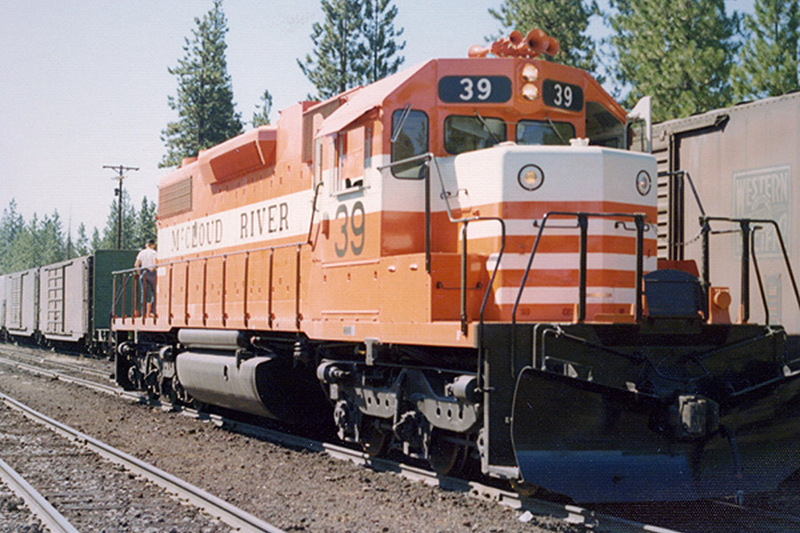 Burlington Northern has just delivered the #39 to the McCloud at Lookout Junction. The unit is about to enter its home rails for the first time. Photograph from the Travis Berryman collection. 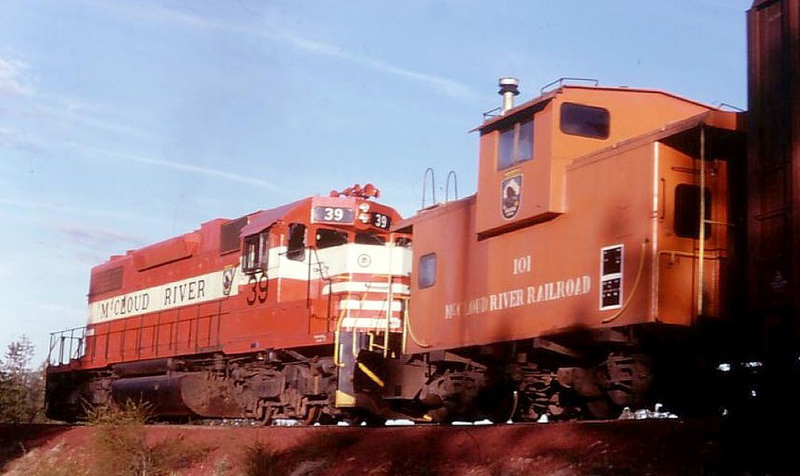 This photo shows a brand new #39 sitting in the locomotive service area shortly after its arrival on the McCloud in 1974. Photo is by and courtesy of George Landrock. #39 - Cayton, CA, circa 1988. 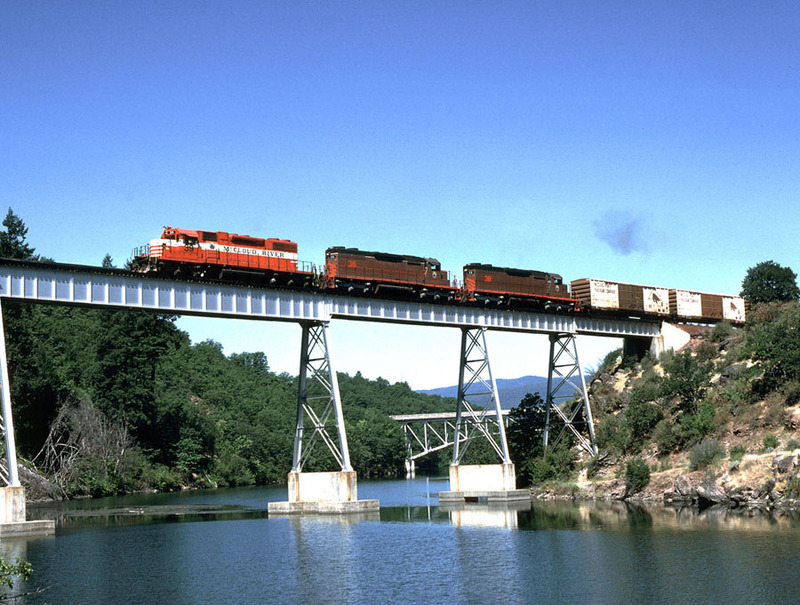 #39 with two sisters crossing the Lake Britton Bridge with a Burney-bound freight. Photo is dated 8 August 1987 and is by and courtesy of Keith Ardinger. 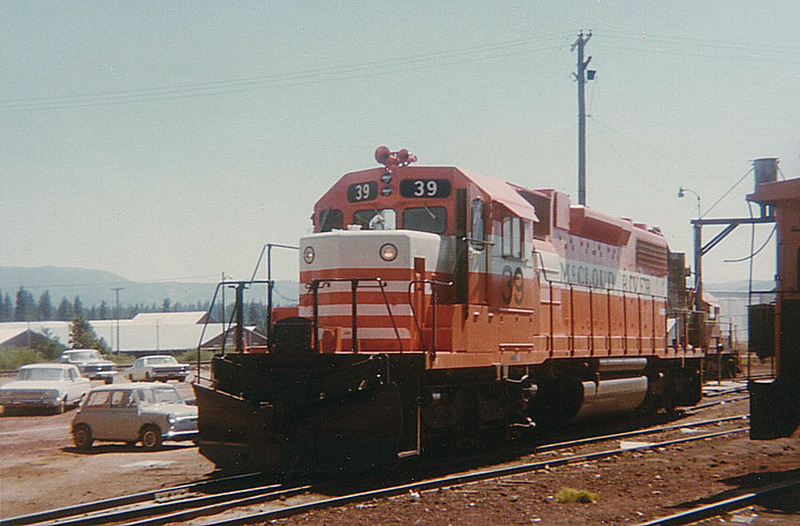 #39 working for the Southern Pacific in the Willamette Valley. Photo is dated 19 March 1979 and is by and courtesy of Keith Ardinger. #39 in helper service between McCloud and Mt Shasta. Photo by and courtesy of George Landrock.